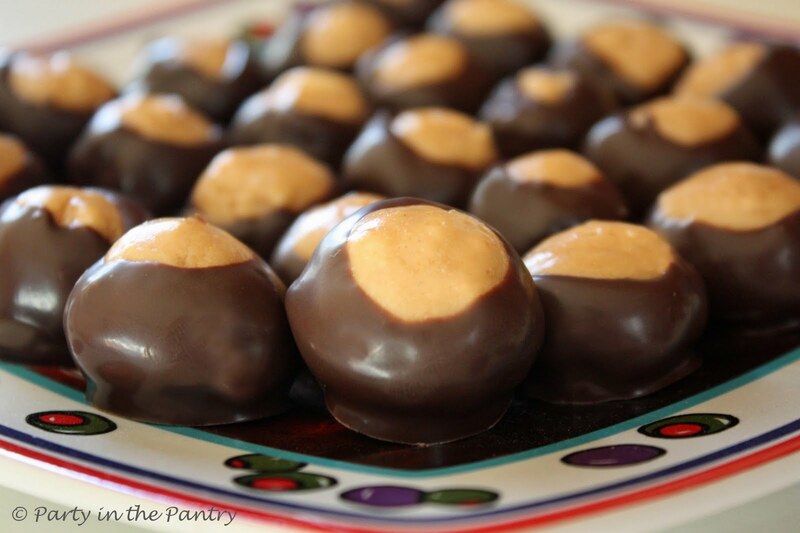 Holiday time is known for this favorite midwestern candy, Buckeyes. So, just what is a Buckeye, anyway? Aesculus glabra is the scientific name of the Ohio Buckeye tree, which gets its common name from the resemblance of its nuts to a deer's eye. Buckeye nuts are poisonous to humans and many other animals, including horses and cattle. 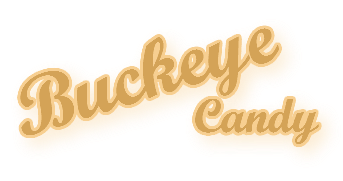 Ohioans love their Buckeyes though, and since they can't eat the real thing, at some point a delicious candy incarnation of the Buckeye was born. Recipes for Buckeye candy date back as far as 1877, although the candy that most Ohioans know and love is a more recent invention, probably dating back to the mid-1900s. Buckeye candies are shaped and colored to look like the nut of the buckeye tree, the State tree of Ohio. These bite sized peanut butter and chocolate candies melt in your mouth and popular to make and eat during the holidays. Likewise, if you're from Ohio or live in Ohio, you're considered a "buckeye."